New data from price comparison website, MoneySuperMarket, takes a look at the costs and savings associated with the most readily available renewable energy sources and efficiency-improvers around the home. Renewable energy, defined as an energy source that is not depleted when used, offers the greatest monthly savings at £28.33 on average a month. But due to expensive machinery such as solar panels and wind turbines, the average setup cost is £7,237. This means that despite the reduction in bills per month, it would take over 21 years and three months to pay off the installation before you would see a substantial saving. On the other hand, efficiency measures, including energy saving lightbulbs and reduced-water shower heads, offer an average of £6.92 in savings each month. With initial costs averaging at £762.59, it would take nine years and two months to pay for themselves. 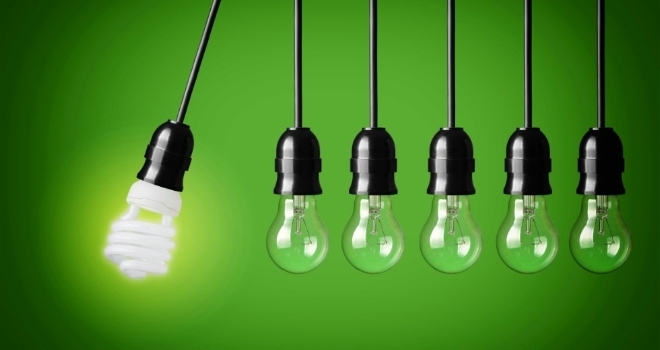 Energy saving light-bulbs – Fitting your home with energy saving bulbs would cost around £51.80 and could result in financial savings of up to £27.13 a month, which means they’ll have paid for themselves after two months. Lagging jackets – An investment of £15 to insulate your hot water tank could save around £1.67 each month on heating – meaning costs will be covered after nine months. Solar ovens – Solar ovens use just the light of the sun to cook food, meaning no energy is required and could save you £9.30 a month. They are a little more expensive at £188.64 on average, and will take a year and eight months to cover their own costs. Water saving shower head – Costing around £15.99, you could save 52 pence each month and this investment will be paid after two and a half years. Cavity Insulation – You could save over £10 per month on energy bills if you insulate your home correctly. With an installation fee of £466, you’ll begin to see a return on investment after three years and seven months. Stephen Murray, energy expert at MoneySuperMarket, commented: “Energy bills are one of the most significant regular payments made by any household, regardless of your living situation. If you’re looking to make some savings, you don’t have to make big changes to your home - simply switching to energy saving lightbulbs can be a good starting point.